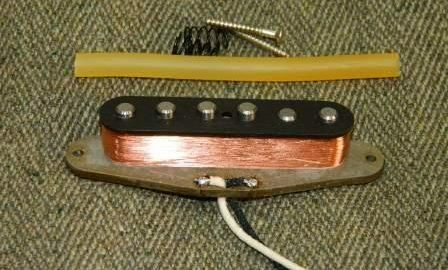 Without a dedicated guitar pickup tester, it only takes a few days experimenting with guitars and pickups before you realise that it can be quite a slow process. 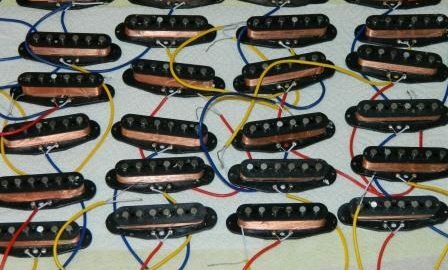 Telecasters, LPs and many other guitars at least allow easy access to the control circuitry. 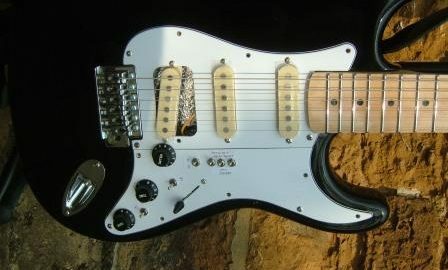 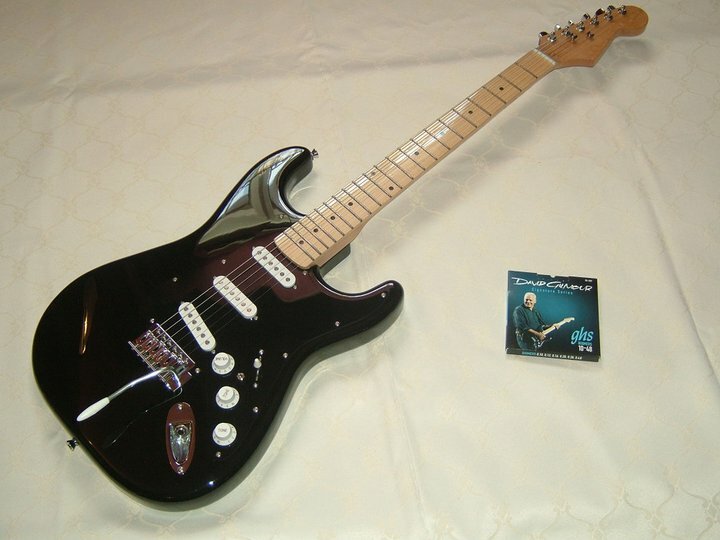 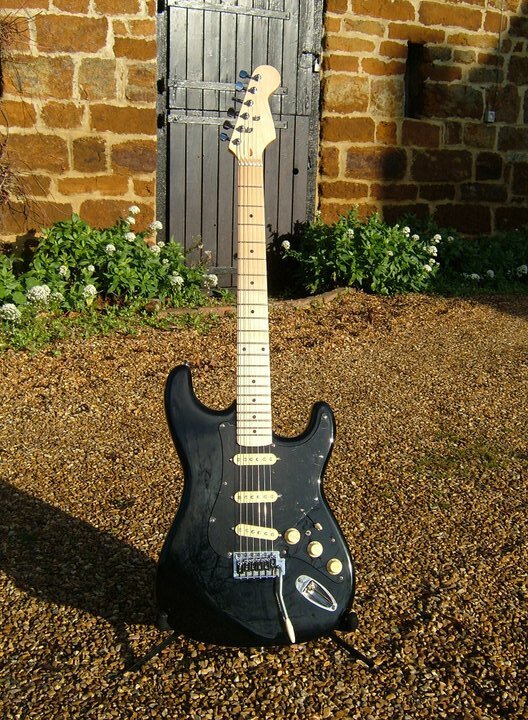 But of course a Strat needs a full de-string to achieve even that. 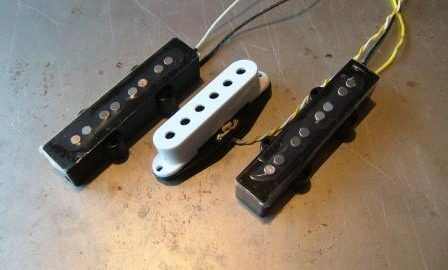 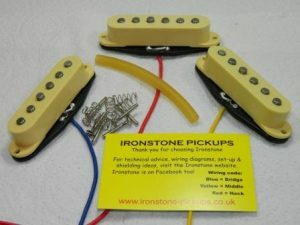 And when it comes to changing and comparing pickups, things get even more time consuming, whichever model you mention. 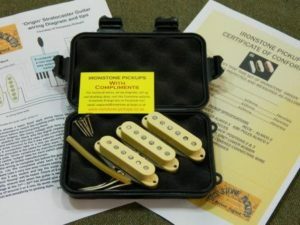 So at Ironstone we have a number of guitar pickup tester rigs specifically to speed up or enhance testing, experimenting and general guitar related fun. 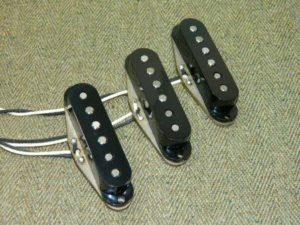 Hopefully some of these will give you ideas that you can use, they need no more than the sort of guitar parts or cheap donor guitars that many will have lying around. 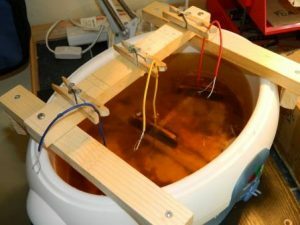 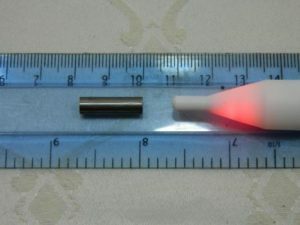 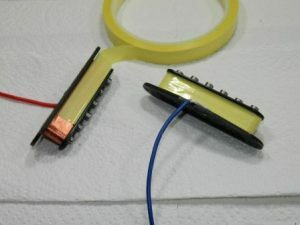 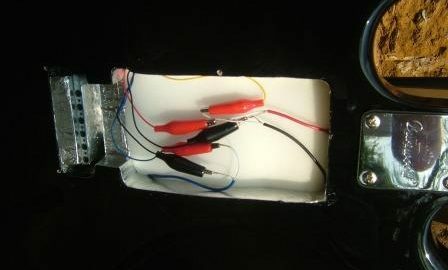 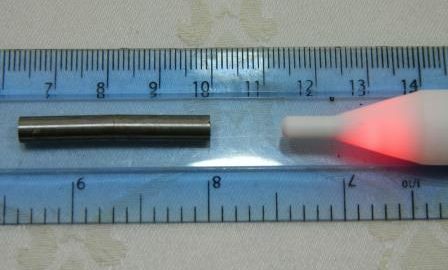 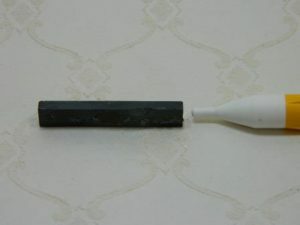 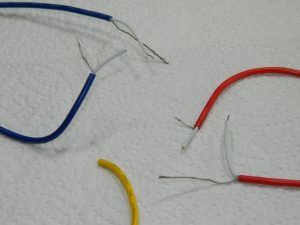 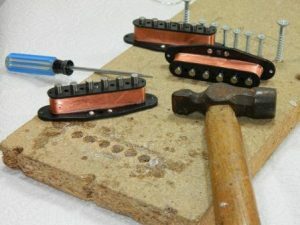 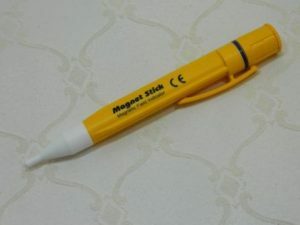 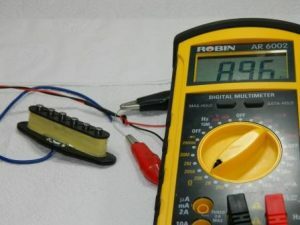 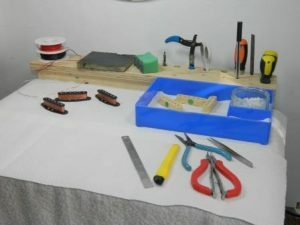 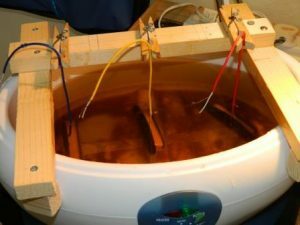 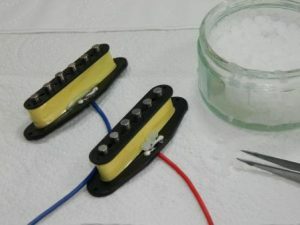 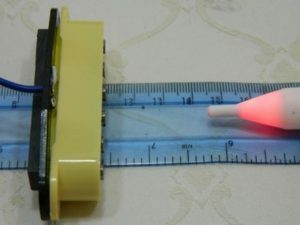 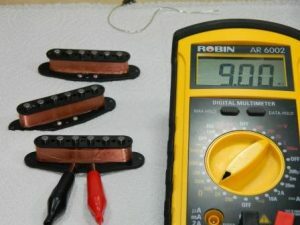 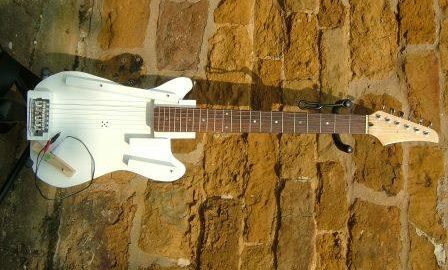 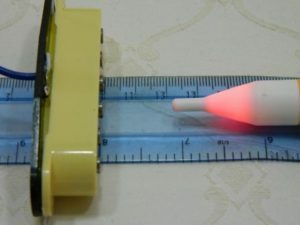 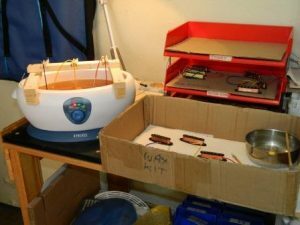 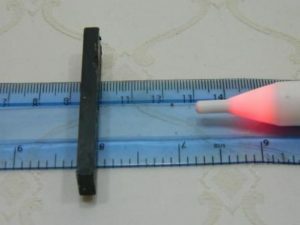 Part 1 of this blog features a simple, yet highly modified guitar used for ultra-swift pickup installation and testing. 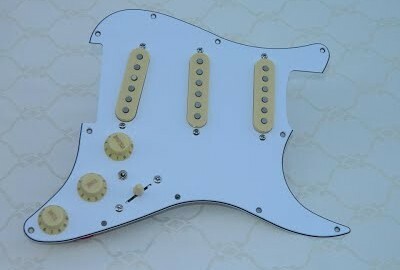 The first tester featured looks pretty normal from the front, a typical Strat copy. 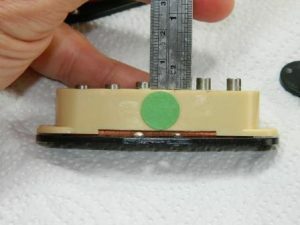 But viewed from the back things are somewhat different. 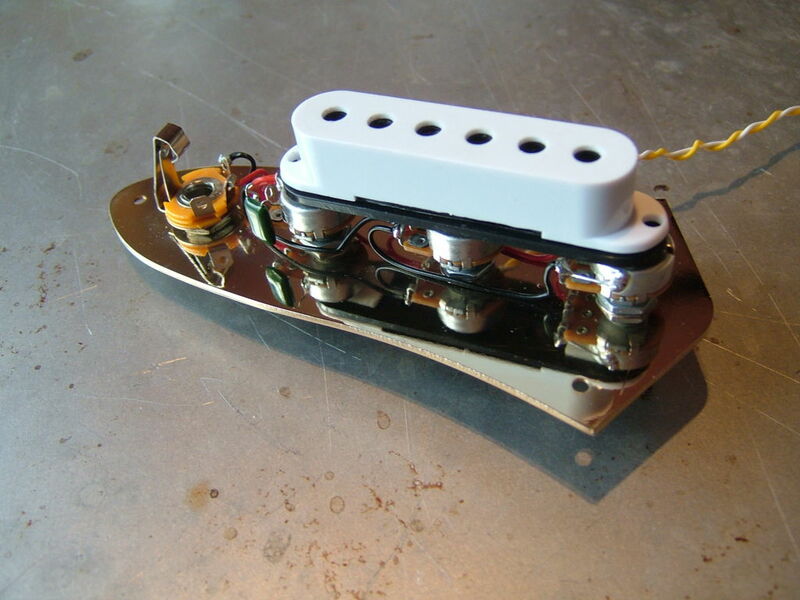 A 'swimming pool' style body routing is a great start for many test style guitars, but this one goes further, with the entire centre section routed out (and the trem blocked to make it a static installation). 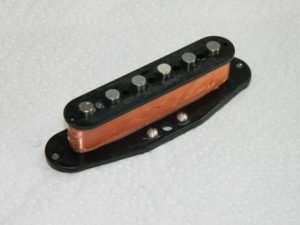 The picture shows the silver foil covered underside of the top scratchplate, with the pickups simply pushed through the mounting slots. 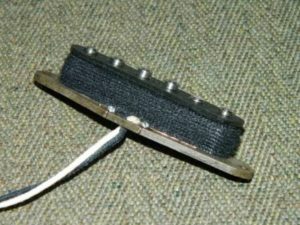 Small felt pads give a workable height setting between the top of the pickups and strings. 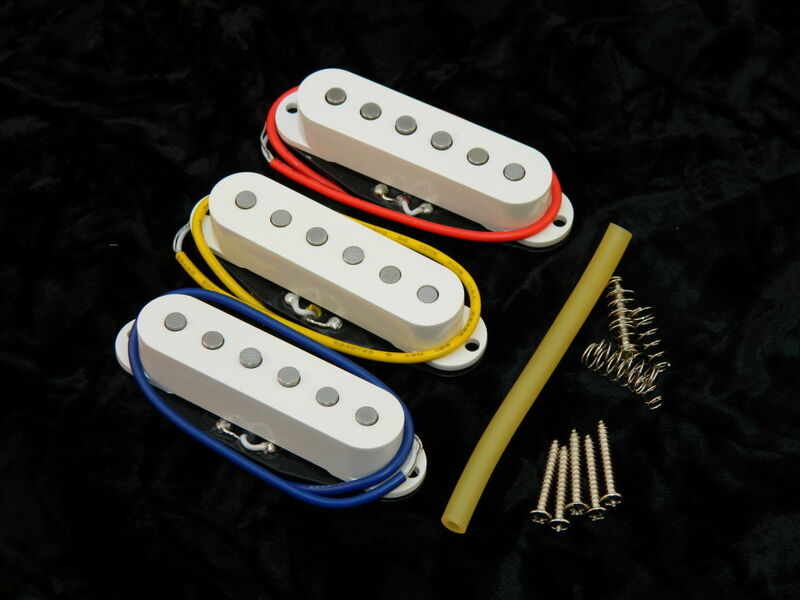 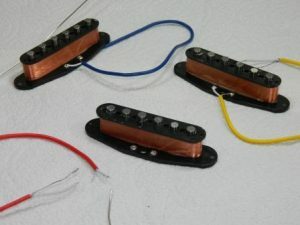 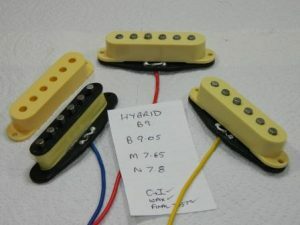 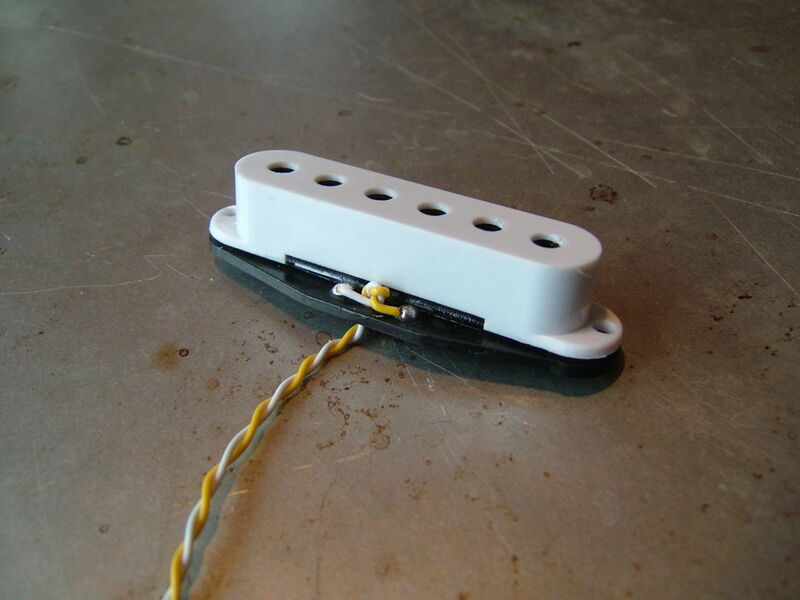 The electrical connections to the pickups are via the croc clips, which are themselves hard wired back to the scratchplate electrics. 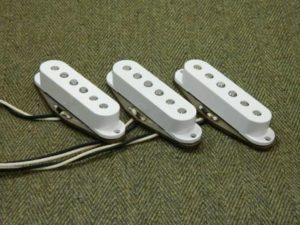 The pickups are held in place by 2 slabs of foam. 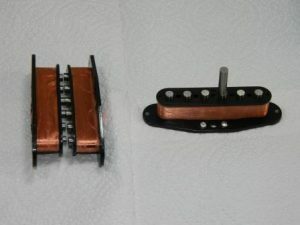 The first one simply presses the pickups into place, and allows the croc connections to be made away from the conductive foil scratchplate covering. 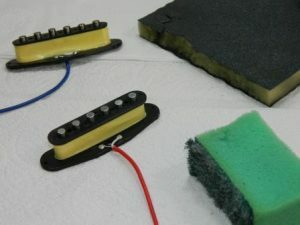 Finally, a second block of foam holds all of the croc clip connections securely, and applys a little more pressure to the pickup mounting. 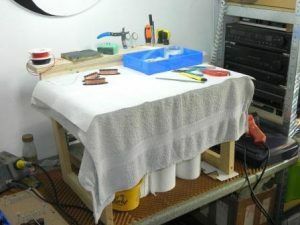 Once this is in place, the tension of the slightly over-sized foam blocks holds everything quite firmly in place. 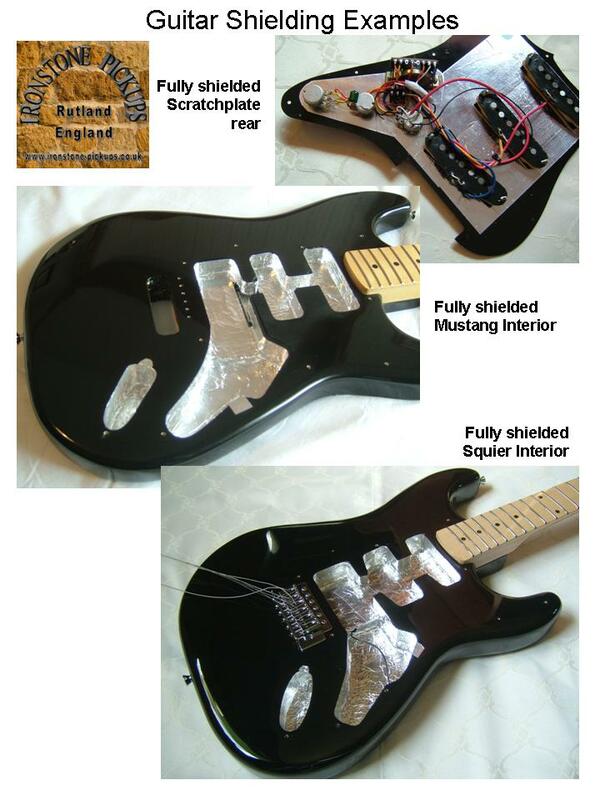 The guitar is now fully playable without a full de / re-string. 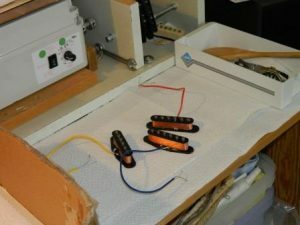 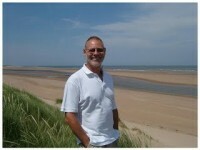 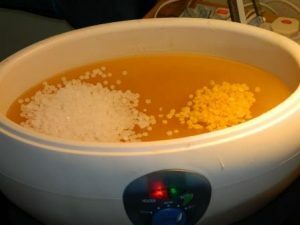 In fact the time from start to a complete new set of pups in place and ready to play is no more than 2 minutes - perfect! 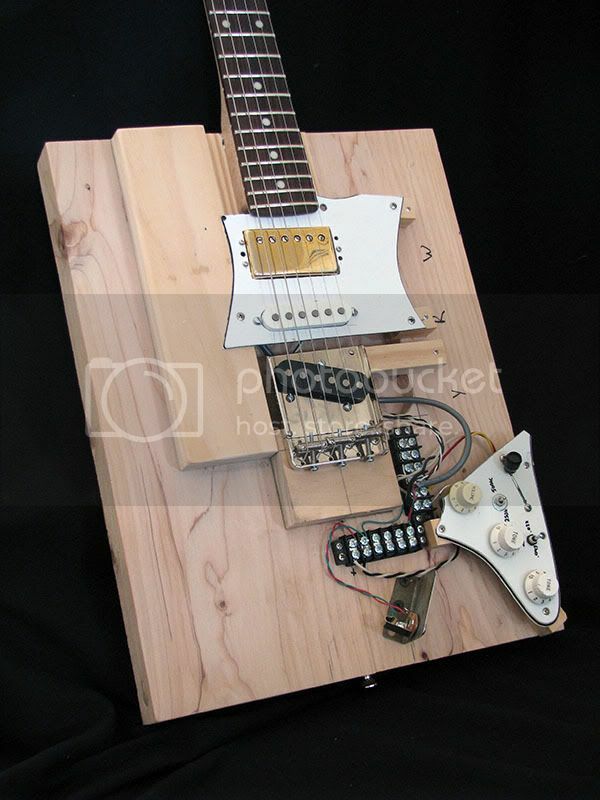 There are plenty of variations on this theme of course, and hopefully this example will get your creative juices flowing! 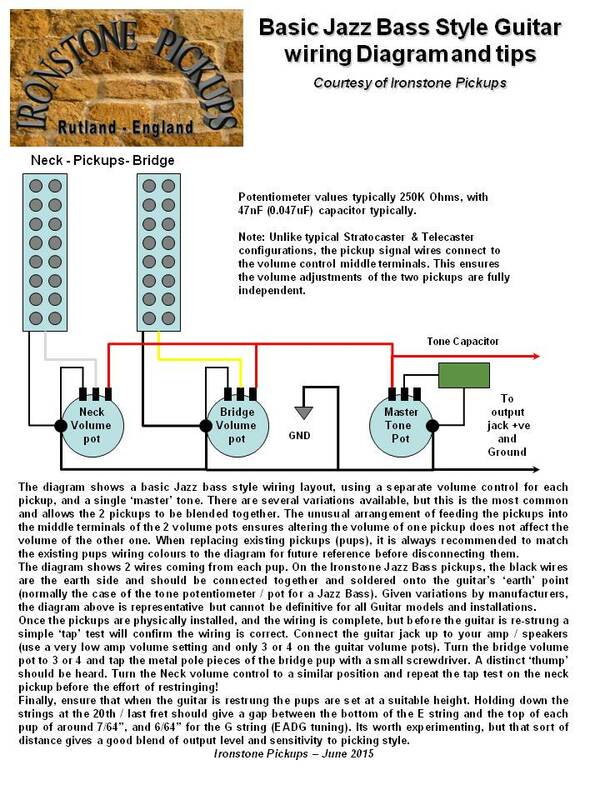 The next blogs in this series will feature a scratchplate tester and our most complex multi switcher Strat. 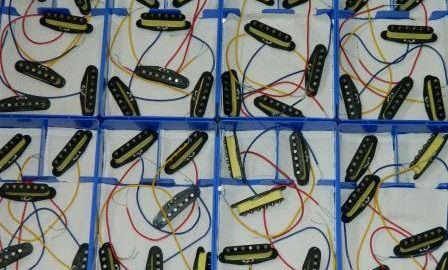 Plenty for the enthusiastic guitar pickup tester to enjoy!